Team Sport Fish Lake Michigan has spent countless hours all over the ports of Lake Michigan searching for some of the finest most experienced Charter Captains for you!. All Charters target King Salmon, Coho Salmon, Steelhead, Brown Trout and Lake Trout. With these targets, you can now stop spending hours searching all over the internet and calling multiple Charters to try and figure out who has the best boat, the best captain, and the best fishing locations; Sport Fish Lake Michigan has already done all the work for you! And don't worry, all of our Captains have countless hours of research in, multiple years of experience, the latest electronics, and ample tackle to put you on the fish, so you can land that trophy fish of a lifetime! Charter fishing trips can be planned around a variety of variables, a specific time of year, using a specific fishing method, and for a particular fish species. Each of these methods have their time and place; just as different seasons of the year result in different sizes and numbers of fish caught and different kinds of species gained by the angler. The choices are many, and trips need to be thought out carefully! So please feel free to start browsing through our website. You will find basic questions, what to consider, what to bring on your Charter, what is expected from you, pricing, and departure locations! Charters will be United States Coast Guard Licensed, Department of Natural Resource Inspected, professional, courteous, and attentive. New Buffalo, St. Joseph, South Haven, Saugatuck, Holland, Grand Haven, Muskegon, North Muskegon, Whitehall, Montigue, Pentwater, Ludington, Manistee, Onekama, Frankfort, Traverse City, Charlevoix, Bay Harbor, Petoskey, Muskegon River, Pere Marquette River, White River. All Captain's and Charters are United States Coast Guard Licensed for the Great Lakes. SportFishLakeMichigan and its Team members are dedicated to providing a professional and fun Charter boating industry for Lake Michigan. The ports we fish out of. Take a Kid fishing they will love it! St. Joseph, South Haven, Saugatuck, Grand Haven, Muskegon, North Muskegon, Ludington, Muskegon River, Pere Marquette River, White River. Captain's suggest a 6hr trip so your group has an enjoyable outing. What are the terms for the trip? Is the contracted charter based on hours on the boat or catching a limit of fish? Look closely at the trip duration clause, such as "eight hours, dock-to-dock, or limit." If you intend to spend eight hours on the water, you may be disappointed when, after catching your limit of fish in four hours, the captain heads back to the dock. To avoid any disappointment, before hiring a captain, make sure your intentions are clear that you want to be on the water for eight hours, be sure to state that request when booking your charter. Regardless of what you're fishing for, there are always other species of fish to catch if you 'limit out' early. Remember this is your trip so do not be afraid to discuss it with the captain before reserving the charter date. Does the charter fit you? Make sure the charter fits your mode of angling. If you book a charter and expect to be bottom fishing, you may be in for a surprise to find the captain geared up to troll during a July charter. The point is, all methods of angling can be productive during the right time and place, but it may not be the type of angling your party expects. Discuss your preferences with the captain and determine if the charter captain's method or fishing time of year fit your needs and desires. Ask what is provided with the base cost of the charter. Generally, on six-person charters, bait, rods and reels, lures, and ice are provided. Always specifically ask if there is an additional cost for these items. On occasion, anglers arrive at the dock to find that "provided" really means " available for an additional fee." Most charters are run on a "dock-to-dock" basis. Dock-to-dock means your time starts from the time the boat leaves the dock to the time it returns, so if your trip is eight hours, dock to dock, don't expect eight hours of fishing. Most captains will spend a little extra time fishing if you are close to catching your limit or you haven't been successful. Be sure to determine before you go whether there will be a charge if extra time is provided by the captain. Ask how much extra time will cost if you request it. To avoid any surprises, ask if the captain runs more than one trip a day. Let's say your charter is 6 a.m. to 1 p.m., dock-to-dock and fishing is slow, but starts to pick up around noon, when you ask the captain the cost of a few more hours, he states that he has another trip in the afternoon and needs to leave in ten minutes. This isn't what you want to hear, now that the walleye have started to bite. Be courteous to your charter captain! If you have a delay or need to cancel at the last minute, call immediately. Do not leave them sitting at the dock all day waiting for you. A minimum deposit will not cover the cost of a lost charter. By calling if you need to cancel the captain is free to pick up a walk-on trip or spend the day another way. Are we guaranteed a limit catch? Charter captains will provide you with every possible opportunity to catch fish. Even though they would like your business in the future, they cannot make fish bite. It is too much to ask for a guaranteed limit catch! The number of fish caught will depend on a variety of factors; including the desire of the fish to bite, weather conditions, concentration and location of fish, availability of natural food, water temperature, and your degree of ability with rod and reel, so it is unfair to the Charter Captain and crew for someone to expect a guaranteed limit catch, it is referred to fishing not catching. If you feel you need to catch the limit to justify the cost of a charter, just check out the price of fish fillets at the local fish market. Your share of a six-person charter costs much more than if you were to buy your fish at the fish market and stay home. An enjoyable charter trip relies not only on what the captain and crew provide for you, but also on how you interact with them. The following suggestions should be considered to ensure a good experience for you, the captain and the crew, to help protect their investment, and to make their jobs easier. Take precautions against motion sickness if you are prone to it. Check with your family physician for medication to suit your needs. Some over-the-counter medications can cause drowsiness, may interact with prescription medications, or could aggravate a health condition. Avoid greasy foods the evening prior to and the morning of your charter. Avoid alcoholic beverages before and during the charter. Seasickness has ruined many charters for unsuspecting individuals. Remember, the water doesn't need to be rough to produce motion sickness, a calm day with a slight roll to the water is all it takes. If you are in doubt at all about whether you may become seasick, follow the above precautions and take medication. Remember it is usually 10 degrees cooler on the lake. Dress properly for the day. In a small boat bag, pack sunglasses, sunscreen, insect repellant, head protection (cap), towel, rain jacket, and other protective clothing adequate for the weather. Shoes with soft soles are required; they keep you from slipping on a wet deck and protect the boat's finish. *For early spring or late fall charters, gloves, a wool cap, and a warm jacket may be necessary. Arrive at the boat 10 to 15 minutes early! Be on time for your charter. By arriving 10 to 15 minutes before your charter departs, you can load your gear, and take care of those "last minute" things that always seem to cause delays. Being a little early will put both you and the captain at ease. Being tardy in your arrival can take away from your fishing time, because the captain and mate may have other charters or things do after your charter and may need to return on schedule. Chartering is a service industry! Tipping the captain and crew is customary if you feel they did their best to provide you with a good trip. A tip is a nice way to show your appreciation to a captain and mate with good personalities, senses of humor, and most important the honest efforts to show you a good time. Above all, have a great time and catch that trophy fish! 1. Is there a deposit? Yes, there is a $100.00 deposit required to reserve your Charter date. 2. Is it refundable or applicable to another trip should an unforeseen circumstance warrant cancellation? 3. How far in advance do you need to call to change a reserved date without forfeiting your deposit? 4. What is included in the cost: bait, ice, tackle, fish cleaning? 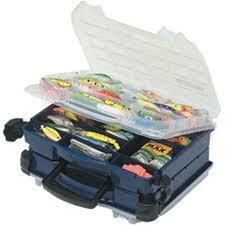 Bait, Tackle, and Fish cleaning are all included in the full cost of your trip. Although, we do suggest suggest you bring your own food, drink, and an extra cooler to transport your trophy fish home! 5. When should you be at the boat and ready to go? You should arrive 15 minutes early to the boat. This will allow you ample time to load your gear and become situated for an on-time departure.